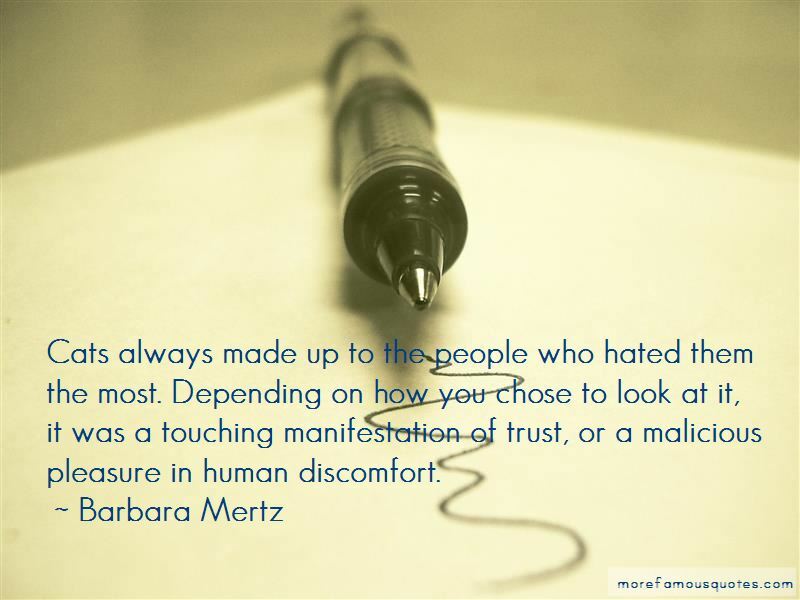 Enjoy the top 41 famous quotes, sayings and quotations by Barbara Mertz. I can do a book in three months if I spend all day, seven days a week at it and, in fact, I work better that way. Husbands do not care to be contradicted. Indeed, I do not know anyone who does. It is easier to counterfeit old age than youth. Superstition has its practical uses. Loving someone condemns you to a lifetime of fear. You become painfully conscious of how fragile people are - bundles of brittle bones and vulnerable flesh, breeding grounds for billions of deadly germs and horrible diseases. 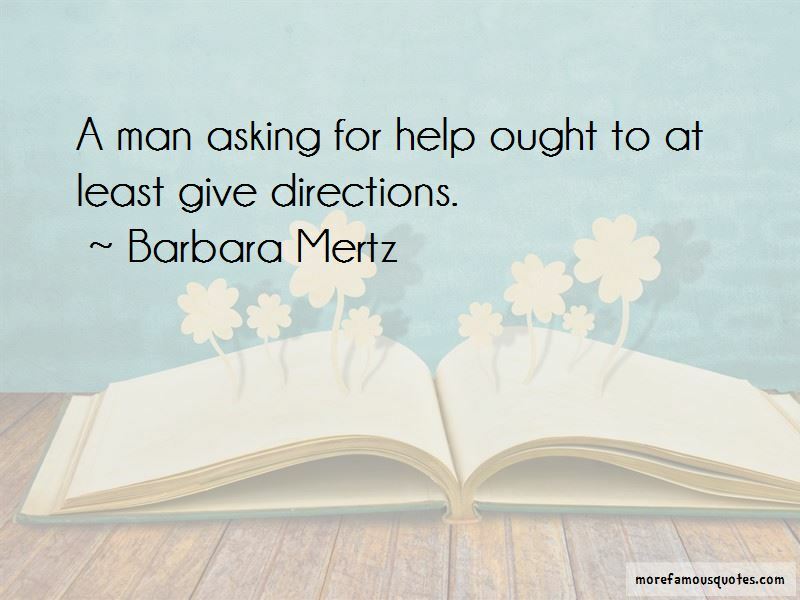 A man asking for help ought to at least give directions. 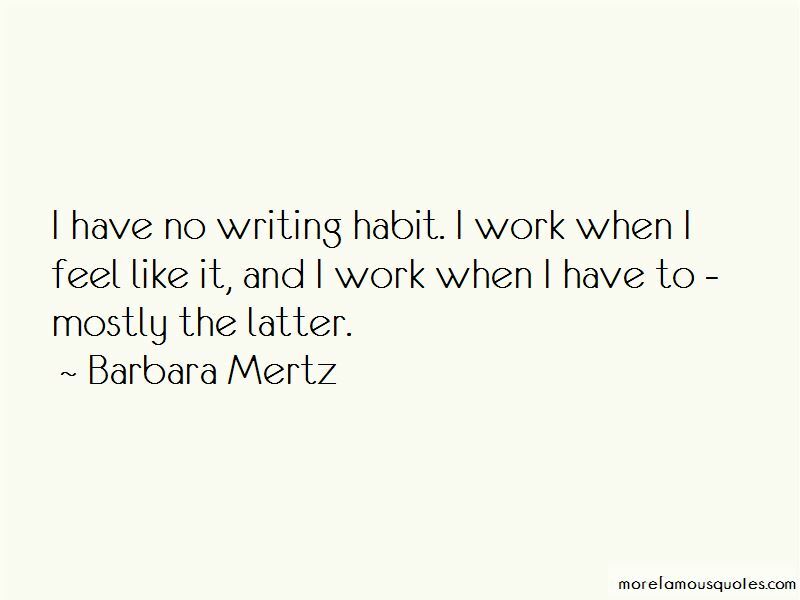 Want to see more pictures of Barbara Mertz quotes? 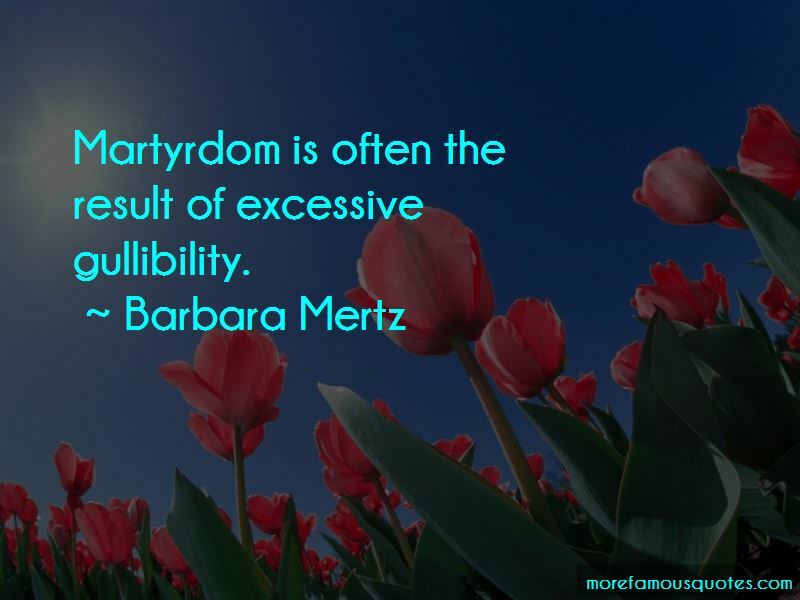 Click on image of Barbara Mertz quotes to view full size.